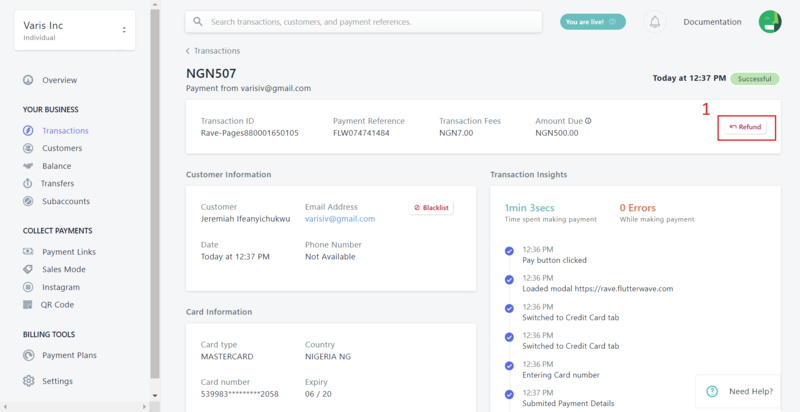 Suppose a customer makes a payment for a service and due to circumstances out of your control, you are unable to deliver. In such a scenario, Rave offers you the option of refunding your customer right through the dashboard. 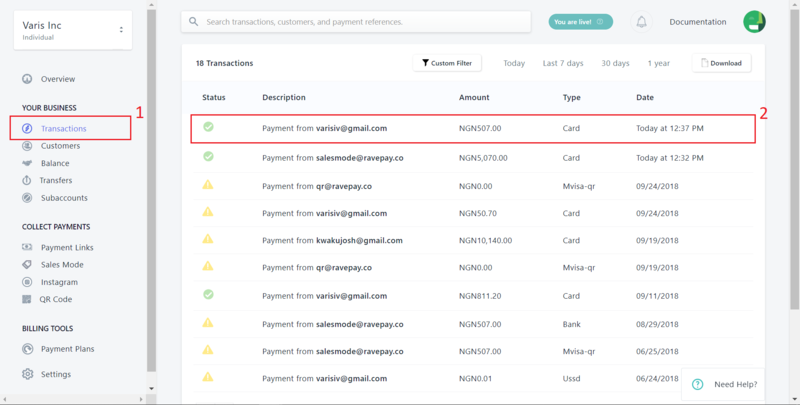 To refund a customer for a transaction, simply navigate to the transaction in the transactions page. Alternatively, you could search using the customer's name or email, or even the transaction reference. 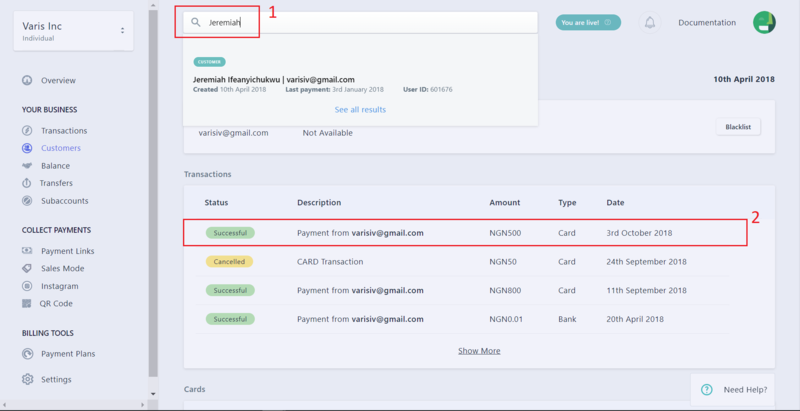 Once you have selected the transaction, a page showing the details of the transaction will show. Simply click the refund button and specify the amount to refund in the pop-up that shows.